More Fun. More Adventure. More Holidays. Ötztal Premium Card already included. Staying right on the Ski Slope. Winter at the Hot Spot in the Alps. Living ambiance plus Lovely Details. Our confy Double Rooms in Sölden. Enjoy breakfast at Haus Fridolin. Water fun for all fans of the wet element! A heartfelt Welcome to Haus Fridolin. Just in case you want to enjoy splendid holidays in Sölden - Ötztal you have already found your perfect retreat in close touch with nature! Welcome to our lovely Haus Fridolin in quiet, central and prime location above the village center - in the panoramic hamlet of Außerwald. Thanks to its unrivaled location in winter, at a few steps from the ski slope, you can explore the Sölden Ski Area without any waiting times right from your doorstep. Everything you'll need can be found in the immediate surroundings - Innerwald beginners' & family ski area, ski school, skipass selling desk, sport shop, cafés, varied restaurants as well as the comfy Zentrum Shuttle elevator that takes you effortlessly and free of charge to the village center of Sölden and back again within a few minutes. Here you won't need your car at all. 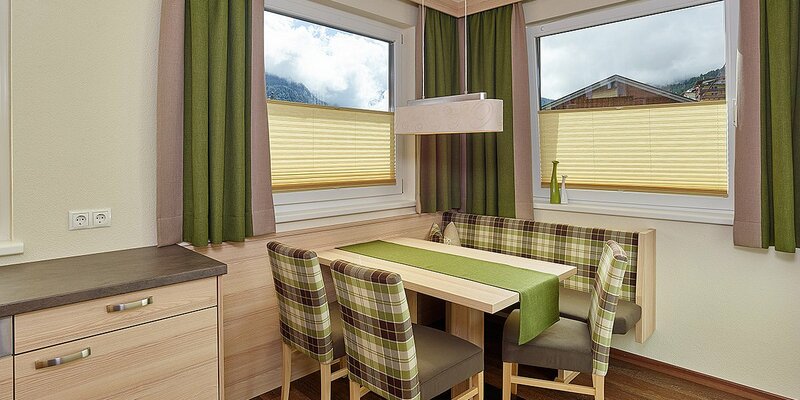 In summer Haus Fridolin makes an ideal base for memorable walks, hikes, Alpine peak tours or mountain bike adventures. Several hiking trails start almost on your doorstep, and you reach the Gaislachkogl Mountain Gondola and the Bike Republic Sölden in no time. Our summer guests receive the unrivaled Ötztal Premium Card for free, comprising myriad highlights and attractions in the whole Ötztal Valley. 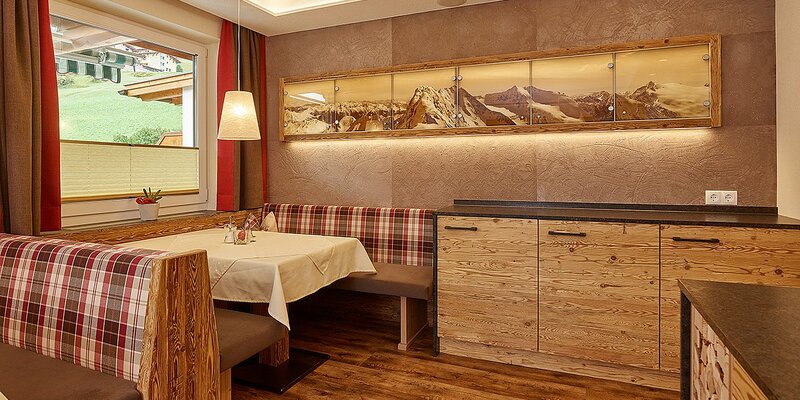 We look forward to your visit at Haus Fridolin in Sölden! All Highlights & Advantages at a Glance! Summer and Winter Holidays in Ötztal – What a Memorable Stay!